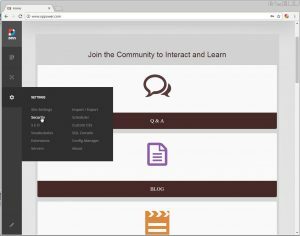 DotNetNuke | WordPress and DotNetNuke Website Design and Development. When a previously created database table requires the addition of a default value. Can the amendment be made easily? And without recourse to the SQL Configuration Manager. I had configured a database table. Subsequent testing showed that one of the fields required a default value. I was testing for a value of less than 0, but there was an occasion where this field may not be given a value. The use of a default value on the field would ensure a minimum base value for use in comparisons. For ease I wished to implement the change through the website’s admin SQL page. I was using DotNetNuke which supports this. Your website might support something similar, or perhaps write a one-time use piece of code, or action through another SQL interface. In the example above I am amending the table called fruit and assigning a default value -1 to the qty field. 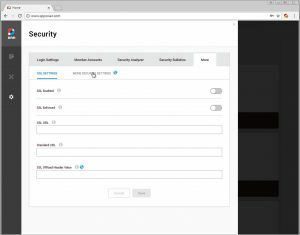 DotNetNuke divides the admin pages for a website into two sections: common settings and advanced settings. 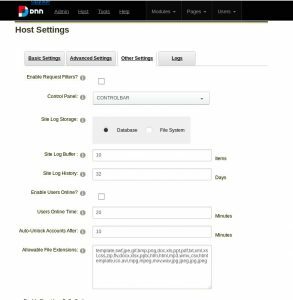 The DotNetNuke admin themes page shows the skins and containers available for use by the website. Use the dropdown lists and checkboxes to restrict the themes and containers listed. Whilst reviewing the page I found that older themes were showing the message: This is a Legacy Theme. Although the entries are still apearing in the lists. The themes available for use on the website are shown, with an image preview. For each there’s the option to preview what the site will look like with the chosen the theme. And alongside a button to apply the chosen theme. 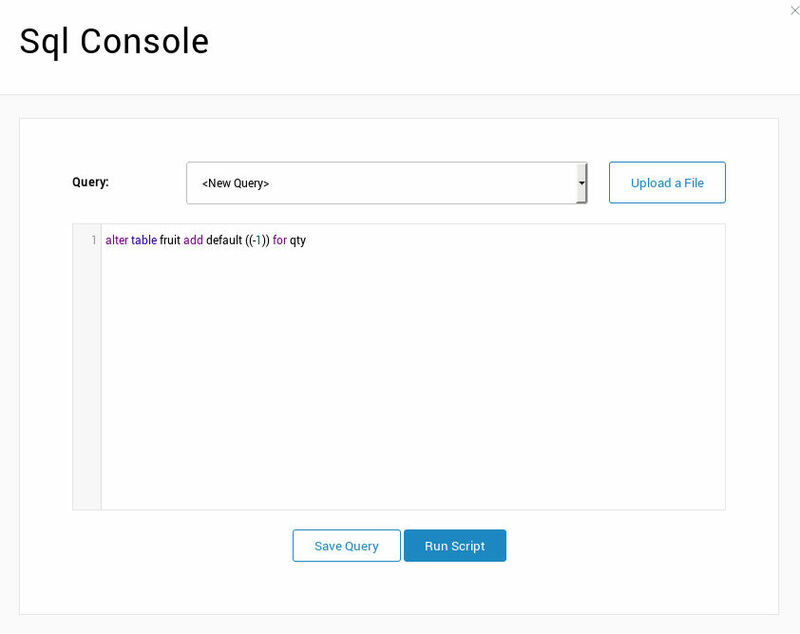 Below the container list are two buttons to Parse Theme Package and Restore Default Theme. Take care choosing to parse the theme package. Its looking at the original configuration. The results may be helpful if things aren’t working but can revert changes. Like the themes, the available containers are shown as images, with buttons for preview and apply. I’ve never used the attributes editing option, preferring to edit the relevant files directly. However, its does present a convenient way to make changes to the appropriate components of a theme or container. For example if the breadcrumb is in use then the separator can be easily changed simply by selecting the file, the Breadcrumb token the separator setting and adding a new value. An example might be changing from the pipe symbol “|” to a greater than sign “>”. On the Admin Device Preview Management page there are a number of pre-defined mobile devices, tablets and phones. 3 text boxes to specify the browser size and agent details. Create and review the mobile device options. The mobile devices which have been added are used in the mobile preview. To view the mobile version of a page, click on edit page, in the top right corner, and from the drop down list select Mobile Preview. A pop-up will then show with the devices listed and their orientation details. Make your selection from the configured list. Alternatively – rather than configure individual devices, why not configure the typical responsive device sizing and orientations? The DotNetNuke Search Admin page is for the management of the internal search indexing, not for search engines such as Google, Baidu, and Bing. I have found that over time some entries within the search index are old, having lost their prior page content reference. The search admin page can be used to refresh the references held, ensuring that the content is relevant to searches. You may wish to consider the items listed under the Ignore Words tab. Adding items here can reduce the number of entries retained in the search index, reducing the size of the database tables and increasing the speed of the website, both in terms of searching and general performance. If re-indexing the content , on the General tab view, doesn’t flush the old content, or more significantly it times out, this can be an indication that the tables have become too large. You may wish to consider an alternative method for emptying the search tables. I had crafted a custom validator for an DNN asp.net web page with a function to validate form elements. Using the DNN pop-up calendar, with appropriate date formatting according to the browser, had issues with visitors not setting the language within the browser correctly. It was also decided that using 3 dropdownlists would provide a better control of the selection, and less issue with date selection on mobile devices using the pop up calendar. I added 3 drop down lists to a web page to facilitate date selection. Initially I found that the function was firing, but that the status wasn’t being returned. Shown below are the dropdownlists, together with their custom validators. A GridView is to include a RadioButtonList in its presentation. The options are to be populated as fixed options, not taken from a database. The example below takes values from the DotNetNuke Lists and displays them as a radio button list. In the code behind, a subroutine is used to populate the GridView and to set the selected item. row("Text") = "I am registered with the organisation"
Whilst populating the rest of the page content the above sub-routine is called with the value of the registration status. Radio buttons of a different row in a GridView cannot be grouped together. The issue is caused by each row in the GridView being given a different ident. The radiobuttons are therefore not of the same name once the page is rendered. I had considered using JQuery to change uncheck the other options when the selection is changed. However, I chose to use an auto postback and a call to a function: don’t forget to add AutoPostBack=”true”. An excessively large SiteLog table is likely to have an impact on the performance of your website. Do you know how many entries there are and whether the older ones are being cleaned out? I have found that the DNN Site log table can be prone to growing, unrestricted. This can be brought about by the failure to set a day limit and not enabling the scheduled clean up task. In the past I have found values in the site log which precede the given cut-off date. Often as a result of the number of days being reduced, but the SiteLog purge not running properly. Maybe looking through the scheduled task notifications you are seeing messages which show the purge of the site log is failing. Failure of the scheduled task to run is often a sign of a table which has grown too large and is timing out on the deletion. 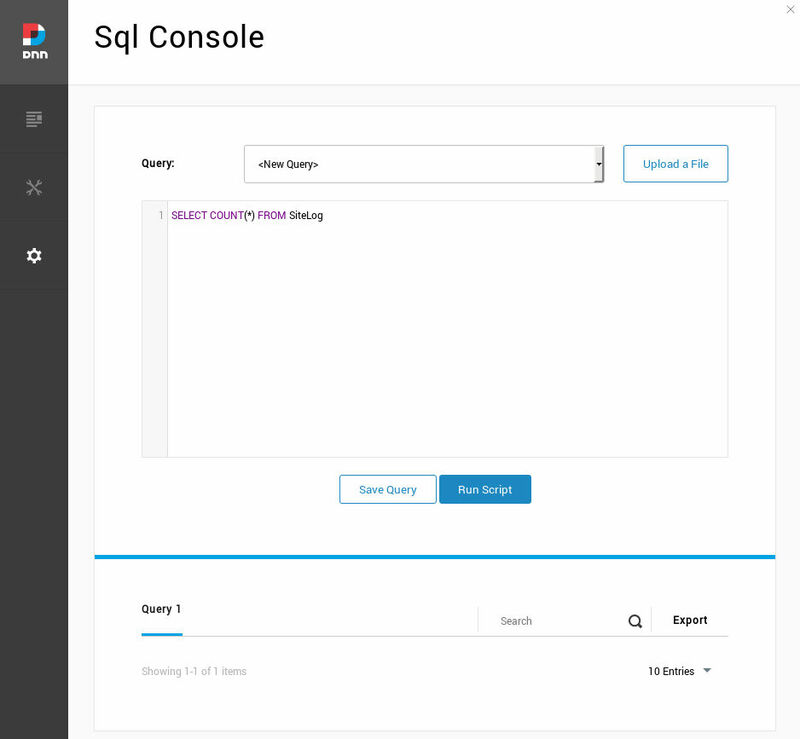 Information about the site log table SiteLog can be gained via the admin SQL Console. 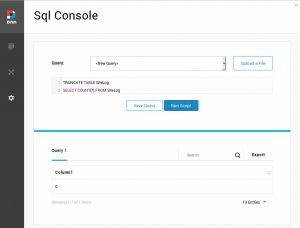 SQL is entered within the main text area and run by clicking on Run Script. Take care! It is easy for an entered command to wipe table contents, beyond the intended results. It’s also possible to see if there are entries earlier than your set limits. Shown below a typical set of results, based upon a newly enabled sitelog, with the number of columns abbreviated for clarity. Dates are awkward to deal with. By default entries are stored in American date format. It is also anticipated that dates used will also be in this format too. Rather than adding formatting information when running these commands you may wish to simply accept the default format. From my example above I am expecting this to return no results, which is the case. It’s possible with too many entries in the SiteLog that the deletion of a range of rows will timeout. You may wish to purge the SiteLog table. I have found that doing this via the DNN SQL control console can lead to time outs and failure to action. 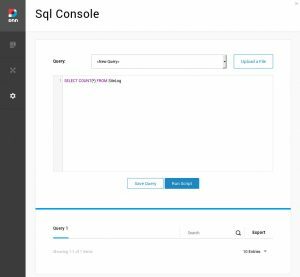 If the truncation of the table times out or fails then you may find that it’s Better to perform the action via the SQL Server Management Studio, if this is available to you . I navigate to the required database table view and click on the New Query button. Refresh your table view to see the change in the number of records. DotNetNuke can require a restart of the application to reflect changes made to the database. With DNN 9 the site log has been removed. Although it can be added back in if you wish. Reviewing an older site I observed that the site log still existed. 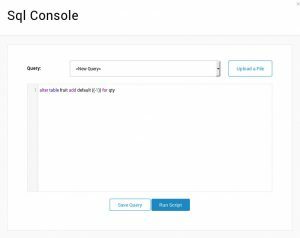 Without the original admin configuration, it’s not possible to empty the log table by following the older practices to restrict the number of days or to turn off the site log. 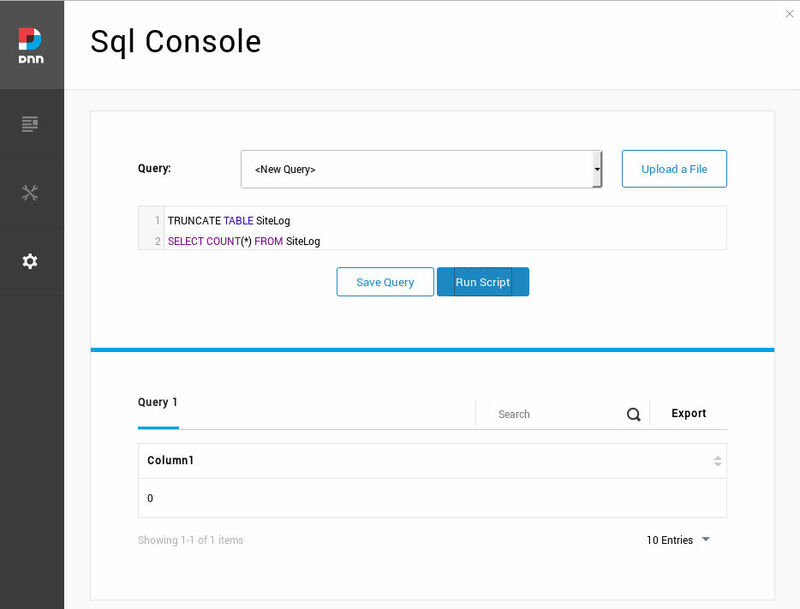 I chose to use the SQL truncation detailed above to empty the site log table. The operation of the default DotNetNuke SolPart menu with regard to different browsers is governed by this file. In the example given above I have added support for the Konqueror and Iceweasel browsers. I created an HTML file with the following content to get the details of the browser. I experimented with the browser compatibility options. As mentioned above, adding references for support of lesser used browsers. But found that realistically it added an additional complication to preparing a website. And with websites continually evolving it was going to be an overhead to maintaining websites. After my experimentation I no longer edited the browser configuration, leaving the file as is. Not much has changed with the start of this file over the years. Is the Allowable File Extensions in DNN 9 missing or simply hidden? The good news is that it’s still available. The Allowable File Extensions is a list of those file types configured by their file extension which are permitted to be uploaded to the website. It’s given as a comma separated list within the site’s admin configuration. Previously it was to be found under the Host > Site Settings page. Looking under the site configuration in DNN 9 I was unable to see the Allowable File Extensions configuration textbox. It’s still there, but now moved under the Security option. On the security menu select the more tab at the right hand end. Opening this section. On this tab we have the options for SSL Settings and still More Security Settings. This is the one which we are interested in. Click on it. Finally we have the page which we are interested in, More Security Settings. Scroll down the page to the last textbox which shows a list of the different file types which are supported. Add or remove to suit your website requirements. The Allowable File Extensions isn’t lost/missing. It has been moved under the Security menu section.